Confession time: when I began my own journey in the cloud storage space, two offerings stood out as unlikely candidates: tape and very high-end disk offerings. I associated tape storage with the dawn of computing, and, equating cloud with cost-sensitivity, dismissed very high-end systems due to their higher price point. As it turns out, I was wrong on both counts, as enterprises and service providers are finding use cases in which tape and the most bulletproof of storage systems are logical choices. Tape for cloud? Are you for reel? My perception that tape is a poor medium for cloud storage stems from two childhood memories. The first has me crawling around the university data center where my father worked in the early 70s; I remember tape spools spinning on the other side of the glass in that very cold room. Fast forward about twelve years to my second memory about tape: there I am, waiting restlessly for my Commodore 64 to load data from a cassette tape drive (this pre-dates floppy disks). It’s no wonder I thought tape is slow and ill-suited for cloud. What I didn’t know was that tape had modernized in a big way, sporting vast improvements in performance and densities. Tape pricing allows enterprises and cloud services providers to deploy storage at $0.002 (yes, two tenths of a cent) per GB/month, a perfect match for storing cold data. Beyond cost advantages, the efficiencies of the recently announced IBM TS4500 tape library make tape even more compelling. With 6 TB on each LTO7 cartridge, capacity per library can reach nearly 350 petabytes (PB), almost two PB per square foot of floorspace. With data (especially unstructured) growing at unprecedented rates and getting cold quickly, tape – whether on-premises or in the cloud – is a natural fit for both backup and cold data. Reinvention and innovation are key to staying ahead. And tape is not alone. The DS8000 family – the veteran on the IBM enterprise storage roster – recently announced the arrival of “triplets.” Building on its solid DNA and reputation of being the bulletproof storage of choice for 18 of the top 20 banks worldwide, the new DS8880 family includes new options to drive more even value for customers. Companies can now choose among two hybrid (i.e., flash and disk) systems and an all-flash version (the expected announcement of the latter is 1H 2016). The new offerings allow companies to better suit their system performance and latency to workloads, applications, and price points. A leading communications and IT services provider recently launched a new range of IaaS solutions targeted at finance, insurance, and utility companies, relying on IBM zEnterprise servers and DS8870 storage. By the way, the deployment includes tape systems for backup. A large healthcare organization deployed a cloud for tracking the medication history for more than 23 million patients. This data is sensitive and mission critical, and the organization saves tens of millions of dollars annually thanks to their new cloud. To summarize, there are cases that require the highest-end storage in cloud environments that include mainframes, and for those cases, DS8000 offerings are clear winners. 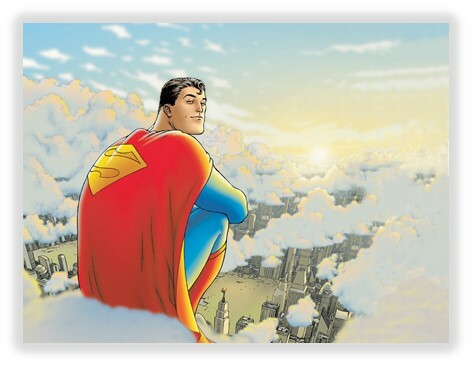 So next time you “look up in the sky” at cloud and storage options, don’t let ignorance or taking things for granted be your kryptonite. Understand that there are use cases – even very compelling ones – for tape and higher-end storage offerings that can help you go “up, up, and away” to the cloud.